(Irving, TX) – As schools across Texas let out for summer break, AAA Texas reminds parents, teens and drivers about the increased crash risk that teens face during the “100 Deadliest Days of Summer.” Motor vehicle crashes are the leading cause of death for teenagers in the United States and teens have the highest crash rate of any age group. The 100 days between Memorial Day and Labor Day are especially dangerous for teen drivers. An average of 261 teens die in traffic crashes nationwide during each of the summer months, a 26 percent increase compared to the rest of the year. Over the course of 5 years, nearly 4,000 teen drivers and passengers (between 13 and 19 years old) died in traffic crashes between Memorial Day and Labor Day, making this period the deadliest season for teens. 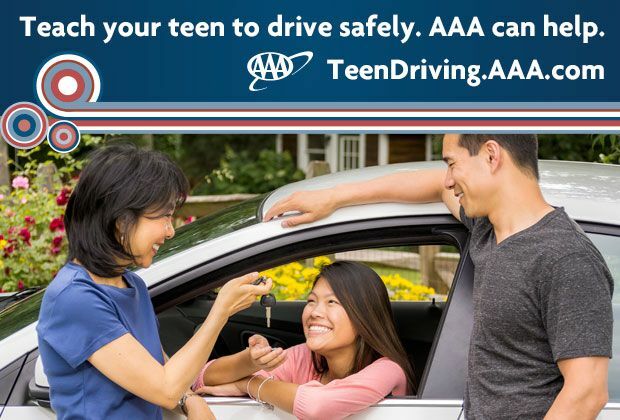 AAA has a range of programs that can help parents keep their teens safe on the road, including parent-teen driving agreements, a Teaching Your Teens To Drive video and our award-winning teen driver safety website for families. Visit TeenDriving.AAA.com for more information. As North America’s largest motoring and leisure travel organization, AAA provides more than 54 million members with travel, insurance, financial and automotive-related services. Since its founding in 1902, the not-for-profit, fully tax-paying AAA has been a leader and advocate for the safety and security of all travelers. AAA Texas can be visited on the Internet at AAA.com. Follow AAA Texas on Twitter: @AAATexas and Facebook: www.facebook.com/AAATexas.